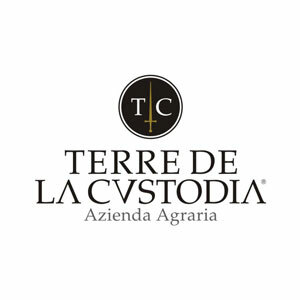 Terre de la Custodia is owned by the Farchioni family whose forbearers have all been agriculturists in Umbria since the enterprise was started in 1780, their continued dedication and enthusiasm has led to successful and constant expansion of the company. These men and women have their roots in this land and a long history in the industry. Their efforts have by tradition remained within classic Umbrian crops such as cereals, olives and grapes. Pompeo and Roberto Farchioni are the Group’s head managers and work closely with their respective parents, Lanfranco and Domenico, who developed Farchioni into the company it is today. Working alongside the experienced members of the family are Pompeo’s children, Giampaolo and Marco. In recent years the Farchioni Group has invested its resources in new projects: first of all the construction of new headquarters for Farchioni Olii SpA that was inaugurated in the closing stages of 2004, and then the setting up of the new winery, Terre de la Custodia, including the planting of new vineyards. The mission was to do for wine what they had done for oil, that is, offer quality products within every consumer’s budget. “We have always made wine, good wine” says Pompeo Farchioni “and with this latest, ambitious project we aim to further identify Umbria, which is fundamental for us, as a region able to express its untouched nature through products known for their quality and character”. The Farchioni family has always worked from Umbria, the region of its origins. It has brought oil and flour onto the shelves of all Italy and the world. Now the family aims to do the same thing with Terre de la Custodia wines, once again from Umbria. The Farchioni family has unpretentiously set about realising this newest initiative, which has required large economic resources, with enthusiasm and professionalism in the knowledge that good wine comes from a land with intrinsic terroir, where nothing is left to chance. The vineyards are lovingly tended, the winemaking areas make use of the local traditions but are fully equipped with all the latest technology, and the consultancy of Riccardo Cotarella, winemaker of international renown, extensive experience and ability. The company agronomist is Tiziano Maschio. The in-house winemaker is Marco Minciarelli. While the “nose” belongs to all members of the Farchioni family. The first and foremost consideration is the quality of the wine. It is made using the latest techniques, sometimes created or modified for the company, according to the requirements of the winemaking areas, with the precise aim of improving productivity and efficiency. Terre de la Custodia aims to impart its individual character on each and every product and to reflect a chosen lifestyle. It is rigorous in its respect of tradition but also innovative with an eye to the future. For today’s consumer and also tomorrow’s.